"Per-Ove is Head of Digital Workplace, MIS, in EMEIA is to help companies and organizations on the digitalization and mobilizing the workforce journey to become more productive and enable innovation for the end users." "Julian has worked in the IT industry nearly 30 years, covering many sectors, companies and various roles, most recently working for HCL and Fujitsu. He is responsible for setting the strategy and roadmap for our Offerings, Capabilities and Tooling for the EMEIA Countries. Julian manages and develops all capabilities in Cloud and Data Centre. These include standard platforms, Management and monitoring tools, Data Science (Big Data & Analytics), Automation and Service Orchestration, Backup and Storage, private hosted clouds, etc. Also, as the MIS Chief Architect, Julian acts as “gatekeeper” on Fujitsu Approval Board. He is currently managing and sponsoring a number of key projects, including the Automation Project, under the Fujitsu Transformation Programme." "Conway has been with Fujitsu for over 12 years and is an experienced business leader with a proven track record in driving digital innovation across multiple industries. In his most recent role he was responsible for Fujitsu’s Digital Technology Services (DTS) business line in EMEA, which is focused on helping Fujitsu to become a more agile and customer-focused business and a recognized digital transformation partner. After joining Fujitsu in 2006 in Australia, Conway held various leadership roles in Oceania before moving to Japan in 2011 as Head of International Marketing. He has also served many key roles in the EMEA region including Head of the Nordic Region, and leader of Fujitsu’s Managed Infrastructure Services (MIS) business line. Conway has also demonstrated a strong commitment to Diversity and Inclusion (D&I) as chair of the EMEA D&I Council, where he has provided strong sponsorship and direction resulting in the increased impact of many EMEIA D&I programs. 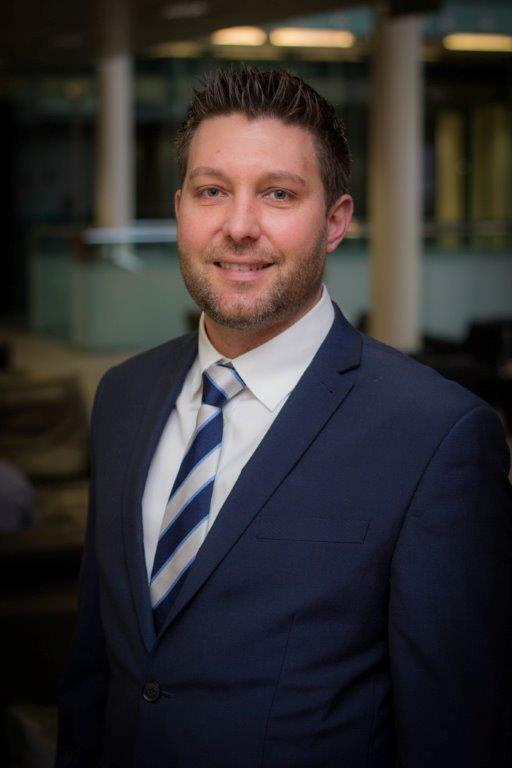 With his knowledge and experience of Fujitsu globally and in the Oceania region as well, Conway is now Head of Sales and in the Executive Leadership Team for the Oceania region." "Ville Tukiainen currently works within the EMEIA Service Innovation and Portfolio team to drive end user-focused service design. He is working to change the company’s development by turning end user’s needs into customer-centric services. His combined experience in inbound marketing and service design methodology gives him the experience to understand customers and get qualitative insight for service development." "Ravi comes with nearly 33 years of IT services experience having worked on multiple organisations, including indian pureplays. His recent role before Fujitsu was with DxC heading the Digital Applications & Apps Modernisation practice for them besides also being the head of Digital Applications for one of the largest global client of DxC. 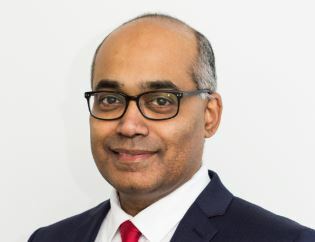 At Fujitsu, Ravi has driving the modernisation agenda of our traditional business since he joined in 2015, taking Fast-IT sales in BAS from 7% up to 23% of revenue. He has also been instrumental in securing some of our most innovative opportunities, such as the Fujitsu Advanced Image Recognition (FAIR) project with Siemens Gamesa, and our ongoing roll-out of IoT based solutions with DHL. Ravi started his career in a large process manufacturing enterprise in India and since then has worked across EMEIA having sold and delivered transformational programs to a number of Manufacturing customers including BAT, Centrica, Volvo and McLaren. Ravi is a Commerce graduate and Honours in Systems Management from India besides having done his ‘Disruptive Innovation’ from Harvard University. Ravi enjoys cricket, reading and believes that the future belongs to people who are willing to embrace change." "Over the last 15 years Peter van ‘t Verlaat has carried out various management and project management jobs in the ICT industry. He currently works as the Head of Presales for the Netherlands and before joining Fujitsu Services, he has worked in various management positions at KPN and KPNQwest. Peter has been at Fujitsu for over 9 years"
"Reporting into Fujitsu’s retail leadership in Japan, Richard is responsible for coordinating, growing and promoting a global retail business across all our markets. Richard is responsible for Fujitsu’s global retail strategy, which includes prioritizing markets, building the case internally and with partners for new solution development, and executing specific growth initiatives. He develops and executes compelling and relevant retail strategies to expand key markets; he is responsible for developing a portfolio of global solutions and services to meet customers’ needs; and he works side by side with strategic customers to develop their relationship with Fujitsu. He leads and supports client specific sales campaigns and is responsible for building pipeline in targeted geographic or solution areas. Richard leads Fujitsu’s relationships in retail with strategic ICT and business partners, is the lead representative for Fujitsu in retail with the analyst community and is tasked with identifying and delivering new channels to market – direct and indirect." "Johan is one of our senior leaders that drive our customers to embrace digital solutions, prepare their business for new challenges and set new standard in Manufacturing and Automotive. Johan inspires our customers to think of new ways of applying technology to traditional business functions and revolutionise the way they operate to increase productivity and prepare for the future. Excellence in Delivery. Trust and reliability is the key to delivering world class solutions every day. He achieves this through delivering long term digital technology strategies that address new business opportunities and challenges. His solutions bring technology closer to the business and increase financial awareness in IT to achieve the commercial business drivers, whilst improving the effectiveness, productivity and business processes." "As the Oceania Solution Director for Fujitsu’s Workplace Anywhere Portfolio, James is the regional champion for End User Services (EUS) offerings. James has 20 years of experience in IT Outsourcing and Service Management. 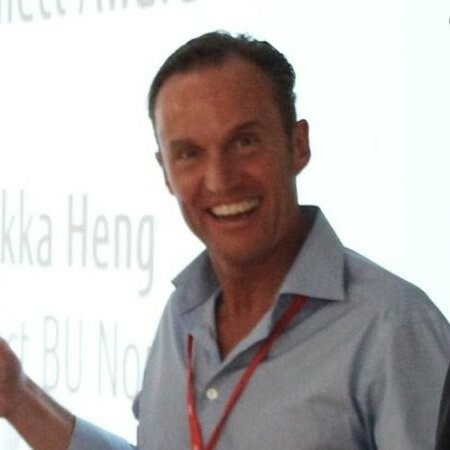 He has ten years of international experience in operations and solutions with hands on experience in EUS Service Architecture and Program Management across global regions (Europe, Asia, and APAC)"
"Anna Kopp was born in Sweden and studied International Communication at the International Business School Institute - University of Stockholm. She spent 23 years in the high tech industry in various American companies like Silicon Graphics and Sun Microsystems. For the past 13 years she has been with Microsoft in various international and global management roles including sales, services, operations and customer satisfaction. She is currently responsible for IT in Germany." "Sath Rao is Head of Manufacturing, Digital Services. In this role, he is responsible for industry level capability/ solution development, go-to-market strategy, providing strategic leadership working with partner ecosystem, synthesizing solutions and delivering on the digital transformation agenda including business model innovation. Sath works with executive leaders synthesizing industry vision, driving disruption assessments, proof of concept and co-innovation in areas that include SaaS, Hybrid IT, IIoT and AI"
"Daisuke has over 20 years of experience in the IT industry since joining Fujitsu in 1995. Since then he has worked in a diverse range of roles, including corporate compliance, business development and pre-sales, marketing and corporate strategy planning. Currently in the role as Head of Automation within Global Service Delivery, Daisuke is responsible for the execution of the automation strategy as well as driving co-creation initiatives to develop new solutions." "Daniel Jastér is an Offering Manager with responsibility of Fujitsu Service Desk offering which is called Social Command Centre (SCC). Daniel has a broad experience in the field of Service Desk and joined Fujitsu in 2008 to work as a Service Desk Manager for one of our global customers. He has since then worked in several roles in Service Desk delivery such as Operations Manager, Service Owner, SME and now in Offerings. Daniels background gives him good insight into how the SCC offering can ease the daily life for both the end users and Service Desk delivery." 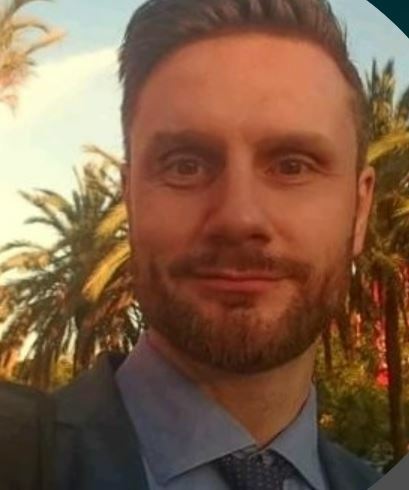 "David Ewart is an Offering Manager with responsibility for Fujitsu’s Service Desk, he has a passion for modernizing end user support experience within the enterprise. Dave has over 20 years experience in the IT industry and has worked for a number of large Managed Service Providers on major projects across Europe. He joined Fujitsu in 2006 and has held a number of roles in the organisation." "Ivar Fennema is Chief Architect for Fujitsu Microsoft Enabled Digital Workplace and for other end user services innovations. As a solution architect, Ivar takes the lead in answering RFP’s, working on contracts and organizing the right transition and transformation afterwards and delivering excellent customer service." "Elenice joined Fujitsu in 2007, after working in Brazil, Portugal and Spain, in the software systems area specialized in banking in companies like Banespa, Accenture and CapGemini. Always interested in the fast transformation Financial Services companies are going through, she joined the Industry Sector team, as the Financial Services Delivery Partner for EMEIA, with the goal to increase relevance of sectors within the Fujitsu delivery community, engage with our customers from an industry angle and generate ideas for industry solutions. In 2018, got the challenge to open his view to a broader view and lead the newly consolidated Digital Business Solutions in Spain, to be more customer obsessed and apply emerging technologies and solutions to improve our customer’s business." 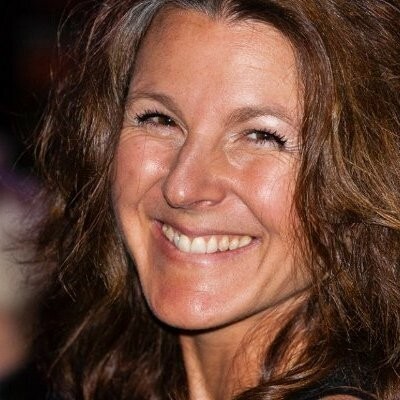 "Carla has over 20 years of experience within Fujitsu in a number of operational and strategic roles in, including leading on offerings development for Technical Support Services across EMEIA, heading up the business development function for our UK engineering force and delivering measurable improvements in service delivery and improvement roles. She is driven by ensuring Fujitsu service supports our customer outcomes from solution design to delivery. She has a clear understanding of customers and consumers requirements through operational service delivery account leadership and is currently working on development of next-generation TSS services." "Stafford Bond is the Chief Digital Officer & Head of IoT and Analytics for Fujitsu Digital in North America. Stafford is responsible for the Internet of Things and Analytics businesses within Fujitsu North America as well as defining the digital transformation technology and partner eco-system that enable Fujitsu to take customers on their own digital transformation journey. As part of his role he is responsible for driving digital technology innovation and incubation within Fujitsu North America. He is passionate about delivering digital solutions to business problems driving tangible business value for Fujitsu’s customers." 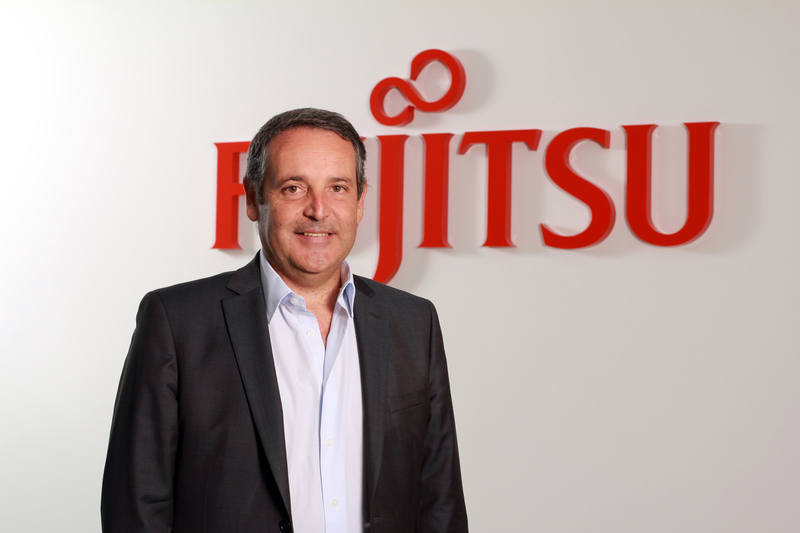 "Joseph Reger has worked for various Fujitsu entities since 1998. In his current role as Chief Technology Officer (CTO) for Europe, Middle East, India and Africa (EMEIA), for which he was appointed in 2014, he is also the Chair of Fellows for the Fujitsu Distinguished Engineer’s Scheme. As the Chair of Fellows, and a fellow Fujitsu Fellow since August 2015, he steers the self-organizing group of Fujitsu’s best technical minds." 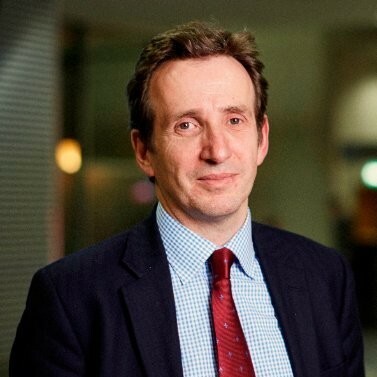 "Ian Bradbury is the Chief Technology Officer for Financial Services in Fujitsu UK. Ian has over 30 years’ experience in the IT Services industry, much of it working with a broad spectrum of Financial Services clients. Ian is responsible for providing input and direction in the generation of Fujitsu and partner offerings and solutions for the Financial Services marketplace, and advising clients and the broader market on successful technology adoption, transformation and change programmes"
"José has been working for more than twenty years in the ITC industry. Passionate about enabling organizations on their Digital Transformation path, José has been helping companies choose the most adequate investments in solutions to support their business needs, developing roadmaps to ensure smooth transitions and transformations. Currently he is leading the Workplace Anywhere offering management for Fujitsu EMEIA, building new models for collaboration and productivity in the new working digital space." "Martin has over 20 years of experience in developing IT solutions to business issues. He has worked across a range of industries and sectors including retail, financial services and telecommunications, and in a variety of roles from consulting, through to strategy and solution development. Most recently he has been responsible for developing new IT support models underpinned by data analytics, focusing on how these can deliver real improvements to customers’ businesses. Most recently he has been responsible for developing new IT support models underpinned by data analytics, focusing on how these can deliver real improvements to customers’ businesses." 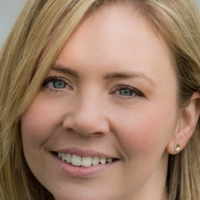 "In her 17 years in Fujitsu Karyn has led the operational provision of Service Desks in Australia, Desktop Engineering Services and Technical Maintenance Services in the UK and has been the Delivery lead for a number of large customers in both countries. This range of operational and customer facing roles has given Karyn a keen appreciation of the need to keep the customer at the center of Fujitsu’s delivery focus." Job Title: Offerings Lead responsible for Service Desk and Service Orchestration (SIaM). "Mike Matthews is Fujitsu’s EMEIA Offerings Lead responsible for Service Desk and Service Orchestration (SIaM). He has worked in the IT industry for over 18 years, moving to Fujitsu after 17 years working for other Global Service Providers, in February 2015. Mike has worked in Offerings/Product Management for over 9 years, specifically in the Service Desk/End User Computing area, also having experience in Desktop, Engineering, Operations, Service and Project Management. He is well known in the Service Desk arena, having spoken at various public events such as The Service Desk Institute Annual Conference in Edgbaston, Birmingham and at The Opus, Voice Biometric Conference in both New York and Amsterdam." "David Smith is responsible for Fujitsu’s current and future Digital Workplace services, driving a human centric philosophy to the innovation and cost reduction of those IT tools and services that we all use every day." "Alex has over 15 years marketing experience in the information technology and professional services industries, across public and private sectors, and international boundaries. 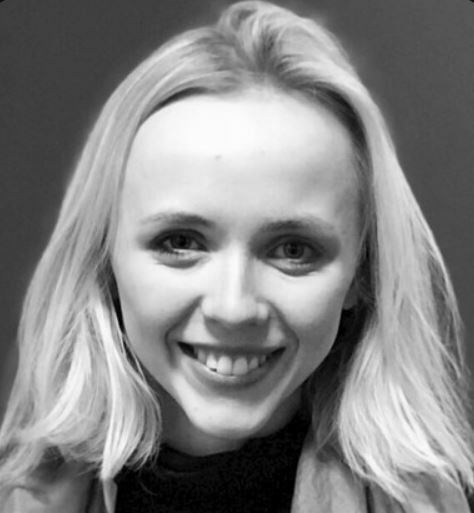 Now leading the marketing activities for Fujitsu’s Digital Workplace Services, she is most interested in the impact of new and emerging technology in the workplace on the end user’s overall lifestyle." "Ramanan Ramakrishna is Head of Service Portfolio & Innovation – Digital Technology Services for Fujitsu. He joined the Fujitsu in early 2016 with 25 years of experience within the ICT industry. Ramanan graduated from Birla Institute of Technology & Science, India with a first class Masters degree in Computer Science and Mathematics." "Robin Lipscomb is the EMEIA Head of Portfolio Strategy at Fujitsu’s operating within our Digital Technology Services division. Robin has overall responsibility for the end to strategic direction and vision of the groups Offerings and capabilities and therefore a vested interest in their successful adoption across all market segments throughout Europe. A seasoned professional with over 30 years in the industry, he has a deep rooted passion for inspiring and developing others with his technological thought leadership and personable style. His sole charter and vision at Fujitsu is to create a compelling portfolio of cognitive, contextual and personalized transformational Services which directly correlate to business challenges as he sets about to deliver business value based outcomes for all of our customers." "An experienced business development and marketing management professional, with 13 years' successful track record working in software and technology sectors. Past roles have included full marketing mix in B2B and B2C as well as software and service product development. With a strong background in channel marketing, my responsibilities have including recruiting and building strategic partnerships with competitive audiences. A good communicator and strategic thinker that delivers campaigns that meet business goals."